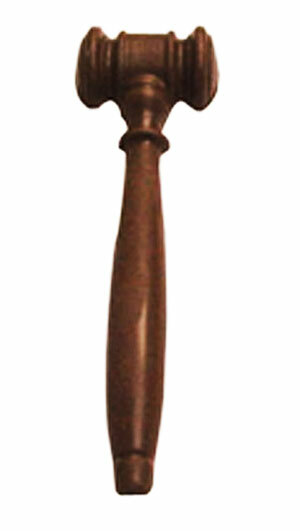 10 Inch Rosewood Gavel with Brass Band and Sounding Block. 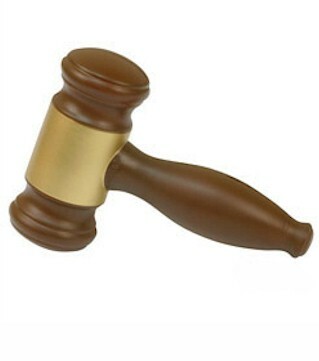 This plastic gavel is a great alternative to our rosewood gavels. 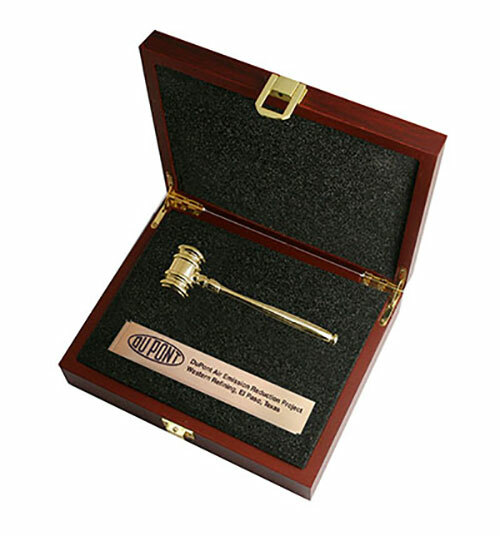 This gavel plaque with gold finish is sure to impress a retiring judge, attorney, chairman board of directors or corporate leader. 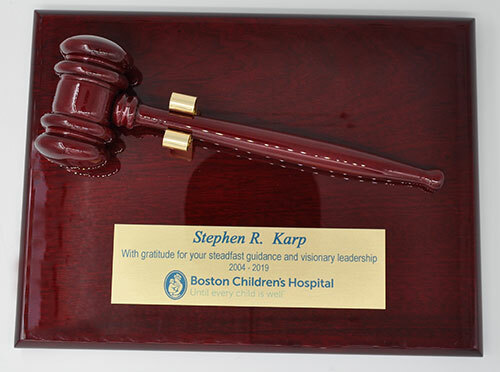 This plaque has a rosewood finish and holds a high gloss rosewood finish gavel that has a gold band in the middle. 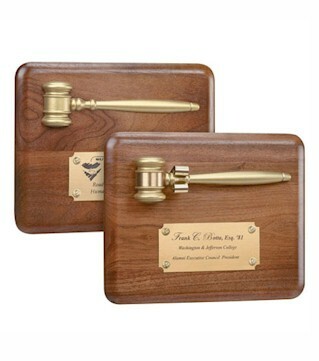 This Wood Gavel Plaque Award is perfect for friends just passing the bar or for honorable judges who are retiring. 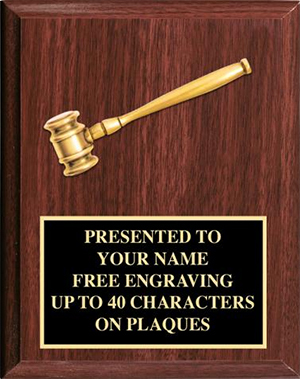 Our 8 x 10 Gold Gavel Award Plaque is a great gift whether for anyone involved in the judicial system. 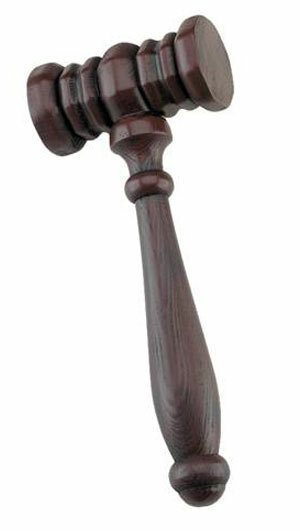 This Rosewood Ceremonial Gavel Display Box is the perfect keepsake for a retiring judge or graduating law student. 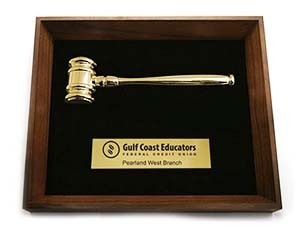 This Gold Gavel Shadow Box is a great gift for a judge or recent college grad! 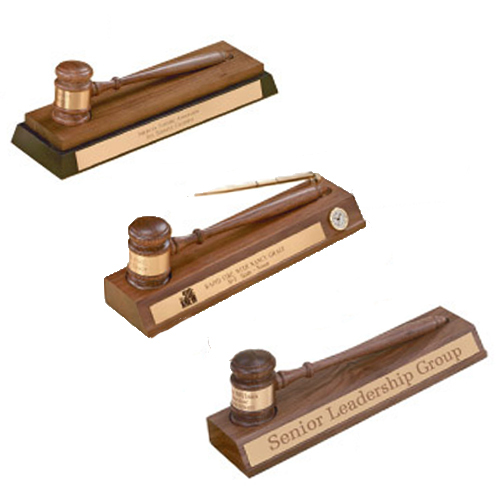 This acrylic gavel set is an impressive award honoring achievement and excellence. 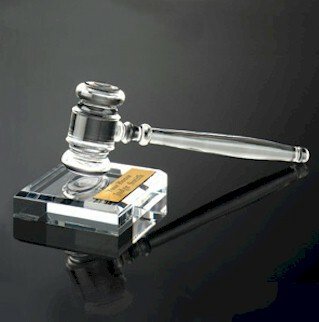 Give your desk an elegant touch with our Gavel Desk Accessory Displays. 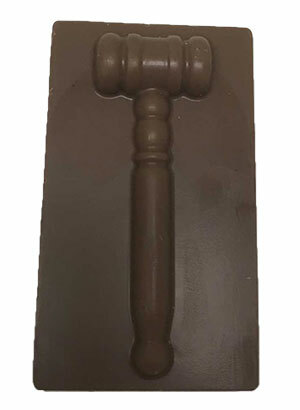 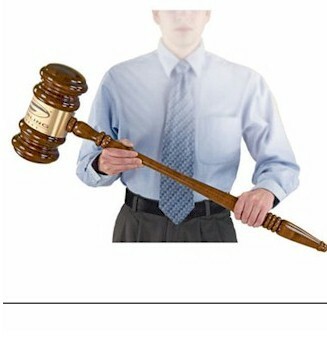 This 3 foot giant Gavel is a wonderful gift for your friend the judge, presiding officer, lawyer, or chairman of the board. 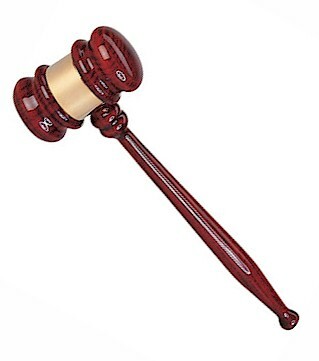 36" Gavel with brass engraving band. 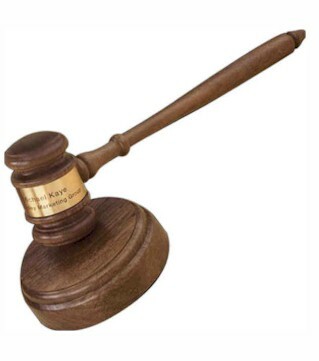 Ease your authoritative stress with this custom gavel stress reliever. 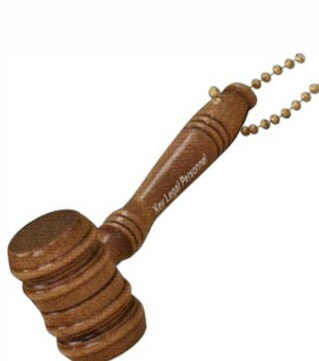 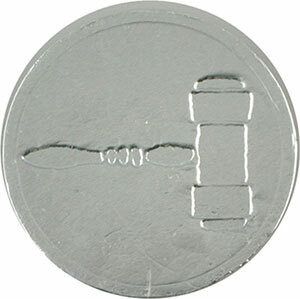 Miniature novelty gavel with key chain. 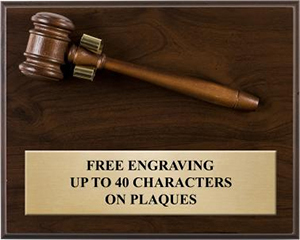 Great for trade show give-away, promotion piece or novelty gift. 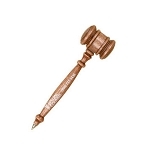 These Walnut Finished Gavel Pens are an ideal gift for a retiring judge.